Phew! There’s allot of areas to study there, better have a (:-). Diagnose and treat malformations, injuries and diseases of the teeth and oral cavity. Dentists improve patient’s appearance by using various cosmetic dental processes and sometimes the help of surgical interventions. 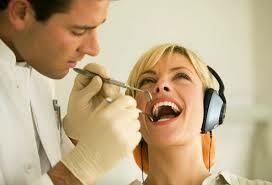 Dentists perform surgical procedures like tissue grafts, implants and extractions. Dentists related with teaching field, teach dental hygienists and future dentists. Dentists perform research directed to developing new treatment methods and improving oral health. Dental hygienists work with patients alongside the dentist to perform allot of the routine and simpler tasks. 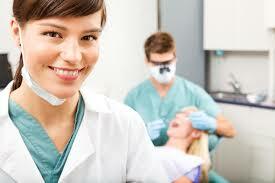 If you go to any dental practice, quite often the first person you’ll encounter is a dental hygienist. Make sure you give them a (:-). Dental hygienists are specialists who take care of your teeth, gums and oral cavity. A dental hygienist will clean and polish your teeth using tiny dental tools such as the mirror, tooth scrapper for plaque removal and special toothbrush. They also perform flossing to remove very tiny food particles from your teeth. They’ll check your dental cavities by taking x-rays of your teeth. After checking your teeth for cavities, they’ll recommend the needed treatment to you and your dentist and may refer to a specialist if necessary. I hope you’ve enjoyed my smiling dental care article! Maybe you won’t pursue the dental field, that’s okay with me. I’ll just be glad to know you smiled a pile (pun intended) and didn’t waste your time while reading. Have a Great (:-) day! !